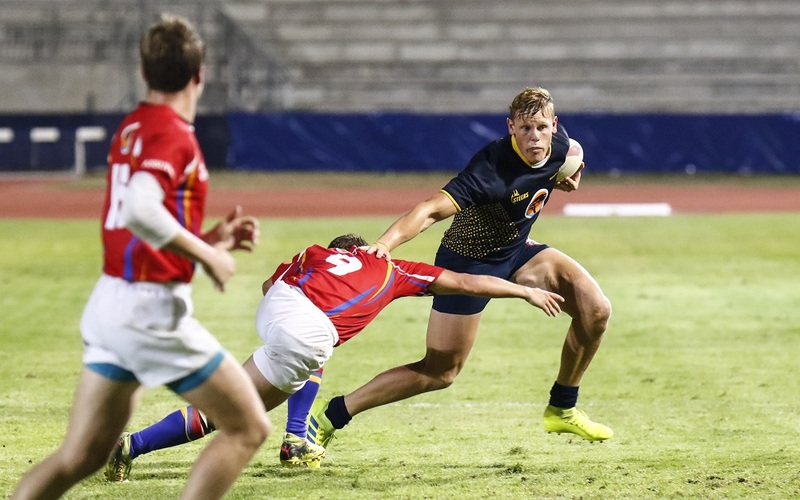 The Nelson Mandela University side maintained their unbeaten run when they defeated Tshwane University of Technology 62-5 at the Madibaz Stadium in Port Elizabeth on Monday. It was their biggest win of the season and secured them a home semifinal with one match remaining in the league phase of the tournament. “I believe the hard work we put in during the build-up to the season is now beginning to pay off,” said Esterhuizen. “We understand what we need to do in certain situations and we have been playing some decent rugby. While satisfied with their overall efforts, Esterhuizen gave an indication of the standards they wanted to maintain when he said there were still too many mistakes in their win over TUT. “The thing is, with the results we are getting it is natural to build our confidence. But the main thing is that there is still not a trophy on our table. “We know that whoever we play in the semifinals anything can happen in a once-off match like that and we will continue to keep working hard and to focus on the task ahead. Esterhuizen said the win by Fort Hare came at a good time for Madibaz, as they play their final pool game against the Alice outfit on Monday. “It just goes to show that all the teams are capable of producing a winning result and only once we have landed a trophy can we feel we have achieved anything.